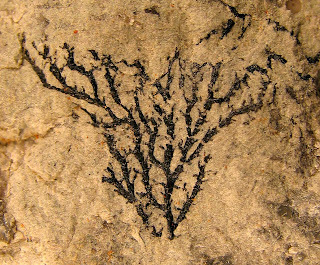 Originally I thought this was a branching dendrite but after studying it, appears to be a graptolite fossil. It might be a Desmograptus, Dictyonema, or unidentified graptolite. I do not have much literature on these creatures to make a good guess. 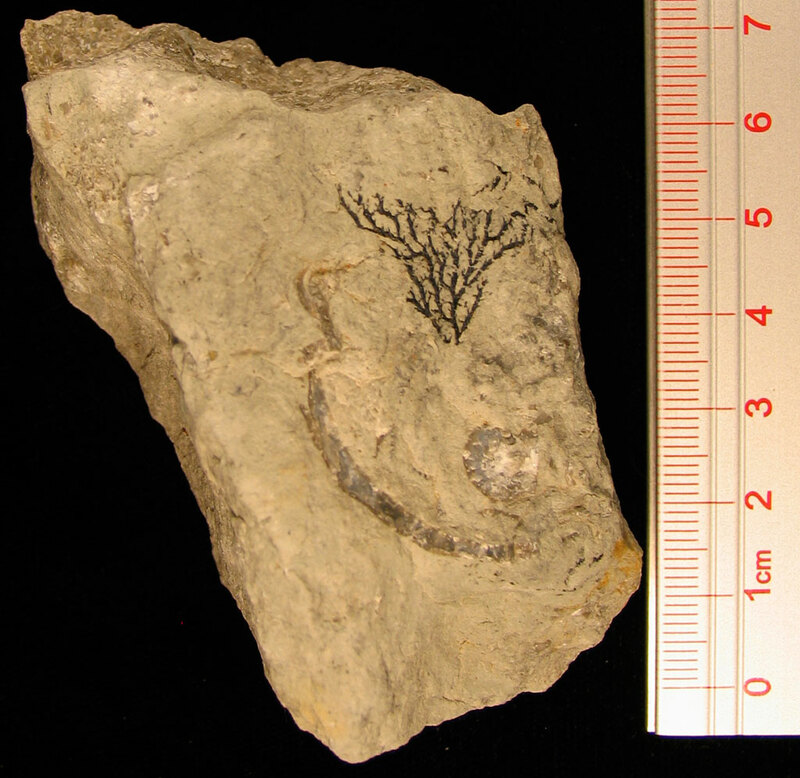 This fossil has great contrast in relation to the limestone! Fossil found in the Louisville Limestone (Middle Silurian Period) of Jefferson County, Kentucky.